Leaving your home, family and friends, selling all your belonging to hit the road on a trip of lifetime! Its very daunting, exciting and a whirlwind of emotions. The planning of such an adventure is finally coming together and the last week in your home becomes stressful, overwhelming and a feeling of happiness. All those last minute jobs need to be done and plenty of things to do conveniently pop up! After a chaotic 10 weeks, we finally hit the road, with three kids aged, 3.5, 2 and a 6 month old. After lots of conversation with each other, we were expectant of an adjustment period but nothing can prepare you for it. Other than patience and a lot of it! Billy just after we left. Age 2. We did take into consideration that three kids have just been taken out of their home and put into a confined space called a caravan. Hubby and Wife are now in each others pockets 24/7, plus he is now a stay at home dad and has to deal with tantrums, nappies and sleep times and that in itself is an adjustment! 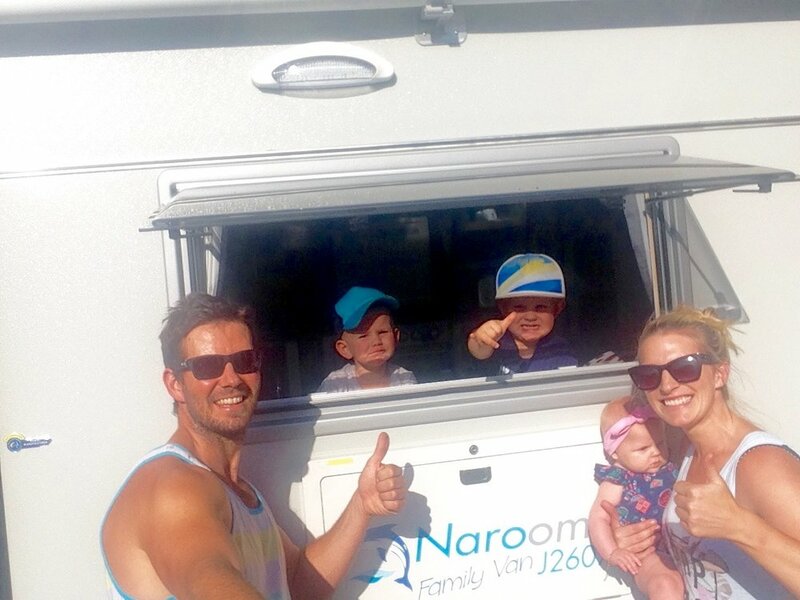 Some families slot into the travelling lifestyle so easily, BUT, not us! It really did take a month or more to settle into life on the road. The hardest part was settling the kids for sleep at night and we tried our best to keep them on their 7pm routine. They are now sleeping on top of one another and can hear each others cry’s and movements. It was a really tough process. To add things into the mix our 6 month old was teething and our 2 year old was having some dreaded night terrors. It was bloody fantastic (sarcasm intended). Justin and I took a while to adjust too, being together all day everyday, which really isn't normal. We argued and disagreed on everything all while trying to remind ourselves to keep positive, patient and persistent. That is what we did and talked about and remembering that we had just embarked on a trip of a lifetime and an adventure we'll forever cherish. It didn't help with the disapproval from others, people told us on many occasions we were mad, some family were unsupportive and others were thrilled at what we were about to embark on! We just clung on to the latter. To put it simply, the hardest part was living out of the caravan. During the day was the easy part, kids are happy, exploring a new destination, entertained at various playgrounds and beaches. Fast forward nearly 3 years and what a change! We truly love the travelling lifestyle. It's easy and simple and our kids only know it as the norm. They thrive on the changing environments and being together in their young years is so beneficial. We love it too, I can’t imagine NOT doing this. Did you know Justin had to convince me..! Yep this is us, flanno's and all. WE THOUGHT ABOUT TURNING BACK after that first month. No joke! But we just knew we would get through this tough period and we did! We certainly didn't think we would still be on the road after all this time! 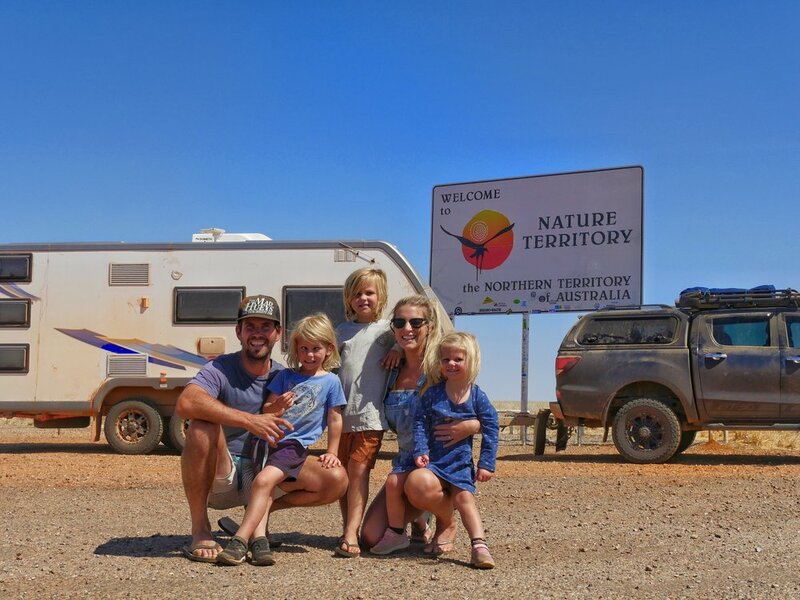 Travelling Australia is an amazing chaos of fun and you should give it a go! Or, I hope this gives you an insight into the initial stages of van life.